The Rotary Club of Aspen leverages the proceeds from its annual Ducky Derby Festival fundraiser through both its District 5740 and Rotary International Foundation Global grant projects. 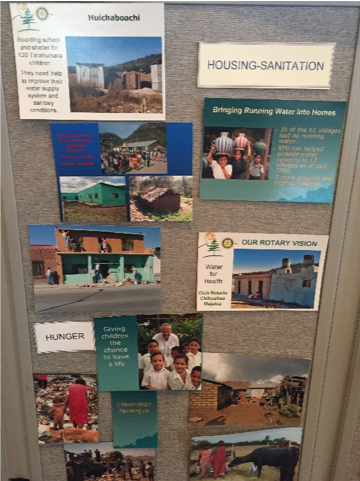 Most of the global grant projects our Club supports are in Latin America countries, although projects have been supported in Africa and India. Approximately $120,000 has been distributed over the last 5 years. 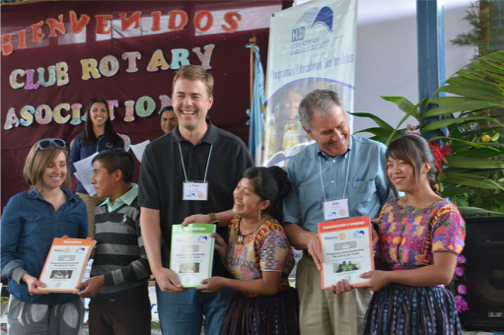 One of our Club’s most consistent donations over the years has been to the Guatemala Literacy Project, which provides textbooks and scholarships to students in Guatemala and affords Rotary members the opportunity to visit and serve by celebrating the distribution of textbooks, sports equipment and computer equipment to rural schools. For several decades, the Rotary Club of Aspen has been supporting the health and human service needs of youth and adults around the world. The Club has donated over $400,000 since the 1980s to projects in over 18 countries -- from South and Central America to Africa and India. Those funds have supported water and sanitation projects, classrooms, women’s banks, wheelchairs, text books, medical facilities, solar panels and generators, libraries, sewing machines, school needs, computer centers and more! Proceeds for the Ducky Derby Festival fundraiser are leveraged through regional funds and the Rotary International Foundation.